As a painter and sculptor I explore visual ways to build bridges between time, land, sea, heavenly bodies, and the people who experience them. Much of my work as an artist focuses on creating projects that encompass these elements. In one project, the community was gifted access to a saltwater beach when I had a 9 ft by 200 ft seawall torn out. The newly created cove included bronze and etched images for seabird identification. Another project consisted of 26 heavenly constellations set into the sidewalk enabling a viewer to locate them in the night sky. 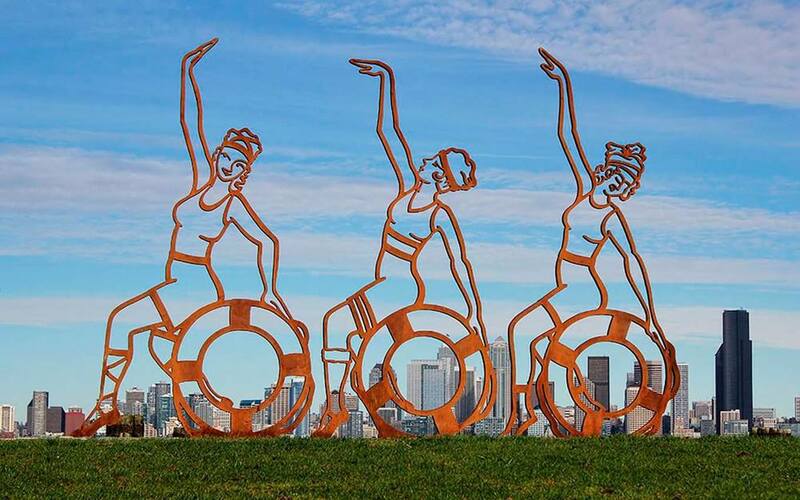 Luna Girls on Alki, a 9 ft x 14 ft public sculpture, connects the West Seattle waterfront of 100 years ago to visitors today. The sculpture is designed to last 100 years into the future. The image of Girls playing at the beach brings our awareness to the water's edge. Maquettes of the sculpture allow us to bring Luna Girls into our home, recreating personal connections to the waterfront. 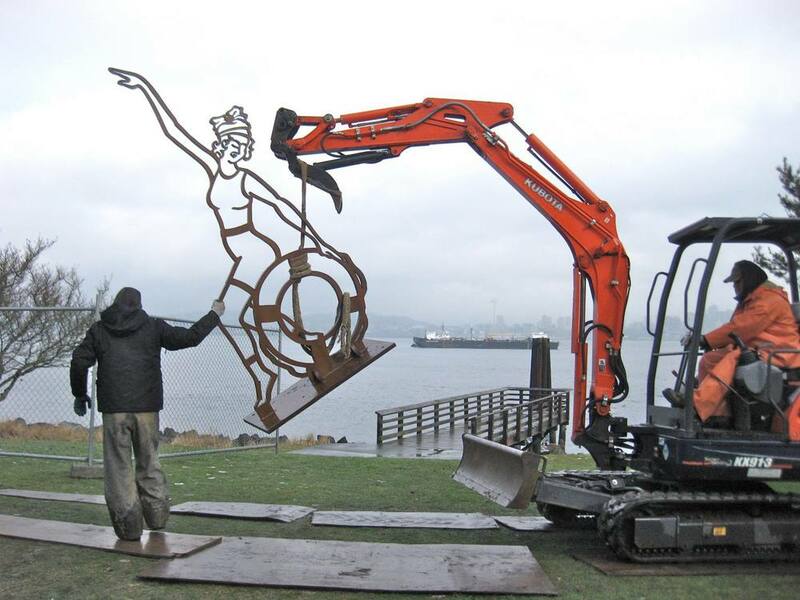 After years of planning and public support Lezlie Jane's "Luna Girls" are finally installed in their permanent home on Alki Beach. The "Luna Girls" are nicely situated on Seattle's Alki Beach between the Water Taxi and Salty's restaurant. These three delightful figures are models of the permanently installed public sculpture. They are plasma cut by the artist from 11 gauge sheet steel, then hand finished and painted. They stand approximately 20" tall.